Calling all thrill seekers and lovers of the great outdoors! 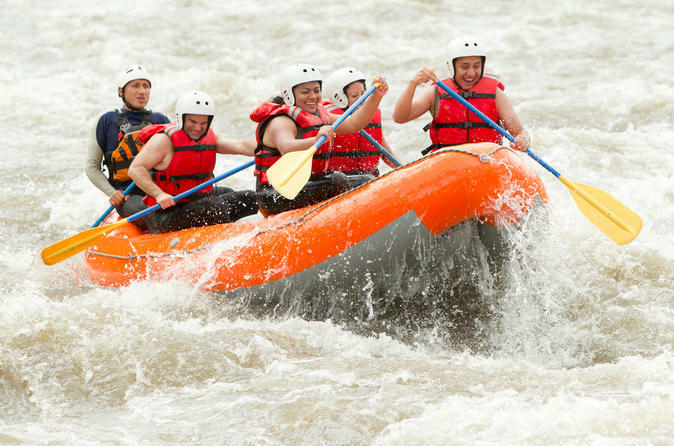 Take to the fast-paced waters of the mighty Zambezi River for a full-day whitewater rafting and river boarding adventure, led by a fun-loving and experienced instructor. Alternate between the two sports on the challenging ‘grade 5’ rapids of Bakota Gorge on the Zambezi River, hear tips for safety and skill, and stop to enjoy a light lunch halfway through the session. Experience isn’t necessary; just come with your bathing suit and sense of adventure!